Accidental falls are the most frequent cause of death and serious injury in people over 65 throughout the world. Researchers have recently discovered that most falls are not caused by tripping or slipping but by a temporary loss of balance. While 75% of seniors who fall regularly use a wheelchair, walker, or other handicap device to get around, only 20% of people were using these forms of assistance when they fell. 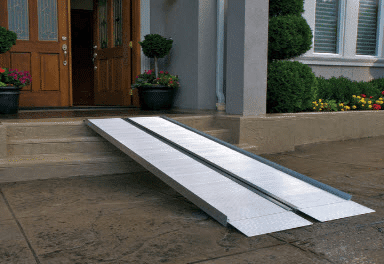 Experts have concluded that a large part of keeping elderly individuals safe involved simply using such devices as wheelchair lifts, stair lifts, and handicap ramps when necessary rather than attempting to walk up stairs or in other challenging spaces. Here at Williams Lift Company, our friendly New Jersey sales team offers a wide variety of stair lifts, chair lifts, handicap ramps, and more to help you or your senior loved ones get around safely. Find out more about our exclusive line of mobility aids that can accommodate all kinds of vehicles and homes by giving our New Jersey office a call at (908) 322-7070.